Dakota Blue Richards is an English actress who is steadily making her mark in the entertainment industry. 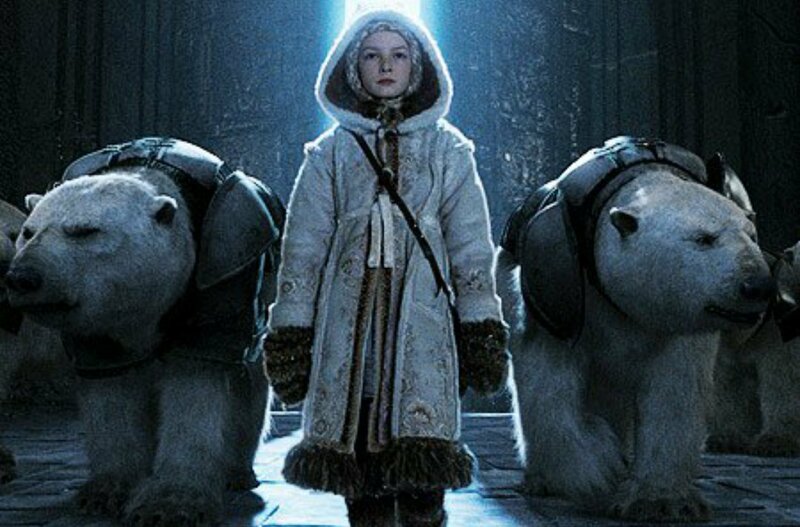 Like many child stars before her, she started her career at an early age when she appeared as Lyra Belacqua in The Golden Compass. Shortly afterwards, she appeared in The Secret of Moonacre which helped her gain international recognition. Her professional career, which includes appearances in Skins, Endeavour, ChickLit, Lightfields, and The Quiet Hour, is quite impressive. She is also a prolific theatre actress having appeared in several plays throughout her career. Dakota Blue Richards was born on the 11th of April, 1994 in South Kensington, London at the Chelsea and Westminster Hospital. After relocating to Sussex, she went to Newlands School and St Paul’s Primary School where she took part in the school plays. After St Paul, she attended Blatchington Mill School and K-Bis Theatre School Brighton where she learned jazz, tap, mime, stage combat, and ballet. When Dakota was nine years old, her mother read the Philip Pullman book – Northern Lights (referred to as The Golden Compass in North America) to her and after watching the play in National Theatre, Dakota developed a desire to play Lyra Belacqua, one of the lead characters in the book. In June 2006, Dakota Blue Richards’ career was jump-started with an audition for the role of Lyra Belacqua in The Golden Compass, the film adaptation of Northern Lights; her dream role. She auditioned with 10,000 other young girls from Oxford, Exeter, Cambridge, and Kendal. She was picked for the role by Phillip Pullman, the author and Chris Weitz, the director. The fantasy adventure film, which was budgeted for $180 million, ended up earning $372 million. For the film, Dakota Blue Richards filmed opposite famous actors including Daniel Craig who portrayed Lord Asriel, Nicole Kidman – who portrayed Marisa Coulter, as well as Eva Green, Sam Elliott, and Ian McKellen. The filmmakers originally intended to make The Golden Compass a franchise like the Harry Potter film series, but unfortunately, the idea was turned down as it was criticized for being anti-Catholic by the Catholic League in America. Recently, there have been reports that BBC might begin a TV adaption series of the film. Dakota Blue Richards has admitted that it would break her heart if the role Lyra was given to someone else. The young actress received critical acclaim for her performance in the movie, which led to her bagging more roles in widely recognized film and television projects. Dakota Blue Richards then appeared in the Secret of Moonacre as the main character Maria Merryweather in 2008. Next, she landed roles in Dustin Baby as April Johnson, Five Miles Out as Cassey, Skins as Franky Fitzgerald, Lightfields as Eve and The Quiet Hour as Sarah. As her career continued to grow, the British actress also appeared in ChickLit, Endeavour, Girlpower and The Fold. Dakota Blue Richards is not just a screen actress, she has also appeared in several plays. She made her theatre debut at the English Touring Theatre with the play Arcadia where she played the character, Thomasina. She also appeared in A Streetcar Named Desire in 2015 and What The Butler Saw in 2017. There is limited information about Dakota’s family, especially about her father but it is known that her mother’s name is Michaela Richards. Michaela, who is often called Mickey, is a graduate of Sussex University. For a period, her mother worked as a social worker who specializes in drug rehabilitation. While there isn’t sufficient information about Mickey Richards available, one thing is certain – Mickey has always supported her daughter’s career and the two maintain a close relationship. For Dakota Blue Richard’s father, no one knows his identity, not even the actress herself, as the space on her birth certificate for the father’s name remains blank. However, it is rumored that he went by the nickname ‘Blue’, which explains the actress’ middle name. As previously mentioned, there isn’t a lot of information available when it comes to Dakota Blue Richards’ family. Nevertheless, it is known that the actress has a half-sister named Maya Richards. Maya is Dakota’s only sibling on record and there are no records of the actress having any other brother or sister. It is not surprising to hear that Dakota Blue Richards has also worked as a model when you consider the fact that she is in amazing shape. Dakota stands tall at a height of 5 ft 5 in and weighs 57kg. She maintains her lean figure with a wholly vegan diet. Her other body measurements are 37-24-36 for her chest, waist, and hips respectively.